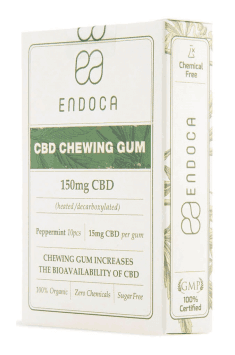 Chewing gum 150mg CBD 10 pcs. Take 1 dragee per day. Chew for about 20 minutes, until completely dissolved. Do not swallow. Use 15 minutes before or after a meal. CBD is well tolerated and safe even in high doses and with a long-term use. There is no close correlation between the dose escalation and the efficiency, so the manufacturer's guidelines should be followed. Take 1 capsule per day. The dragee should be chewed like a normal chewing gum until it dissolves completely (about 20 minutes). It should not be swallowed whole. It is recommended to take a dragee within 15 minutes of a meal.